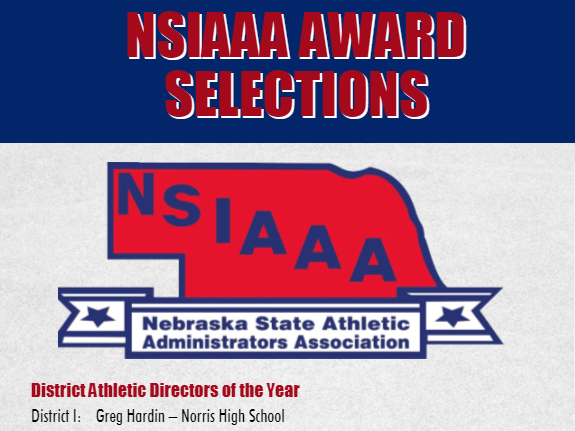 Norris High School Athletic Director Greg Hardin has been selected as the 2019 Nebraska Interscholastic Athletic Administrators Association District AD of the Year. 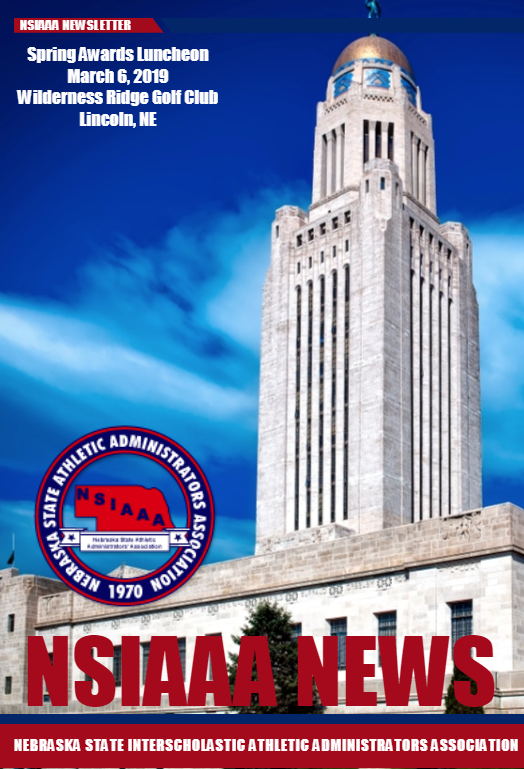 He was nominated by colleagues from across the state because of his performance as an athletic administrator and dedication to the youth of the Norris School District community and the State of Nebraska. NSIAA noted that Greg "has earned the respect of your peers in athletic administration and it is with great appreciation and pride that the NSIAAA honors you with this award." Norris Superintendent Dr. John Skretta stated, "Mr. Hardin is very deserving of this award. Having served for the last decade as Norris Athletic Director, he has overseen a flourishing and growing athletics program that has competed at a very high level across the seasons and over many sports. The opportunities provided to our students have grown under AD Hardin's tenure through the establishment of baseball and girls tennis as school-affiliated programs. He has maximized the development of the Norris athletics facilities through myriad projects, including the fitness center construction, installation of an artificial turf field at Titans stadium, and the track resurfacing. He is all about opportunities for our students to excel." Said Mr. Hardin, "It has been a true honor and privilege to work with all of the people at Norris and I will cherish those relationships and memories forever." 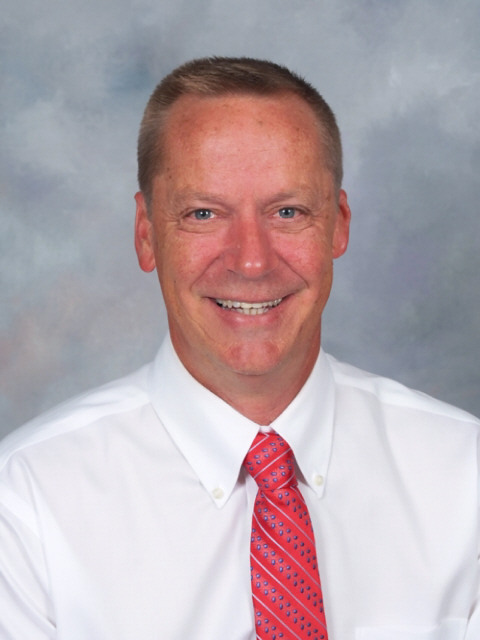 AD Hardin will be the honored guest at the luncheon NSIAAA luncheon where the award will be formally bestowed upon him. The banquet will be held at Wilderness Ridge Country Club in Lincoln, NE on Wednesday, March 6, 2019. The luncheon is followed by the awards presentation.